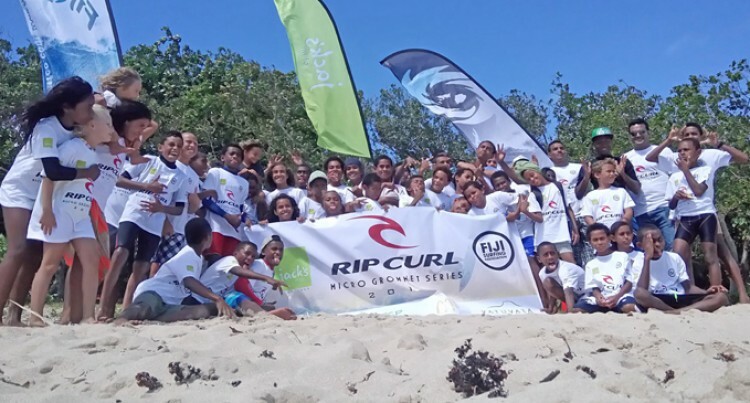 The Fiji Surfing Association (FSA) is experiencing a surge in popularity as more young participants join their ranks in their recent tournaments. Fiji Surfing head coach Ian Port­ingale said they had been getting more children interested in their sport. This was a positive sign for a sport that is slowly climbing up the popu­larity ladder of Fiji’s local sports. He described their revelation dur­ing their Rip Curl Micro Grommet Series that took place in Natadola Beach earlier this year. “In near perfect conditions 50 kids descended on Natadola Beach for the first round of the Rip Curl Mi­cro Grommet Series 2018, it was ex­citing to see the number of entries in to the competition,” Portingale said. He said some of their young par­ticipants were first time surfers which made it more exciting for them to witness. According to Portingale standout performances came from 14-year-olds Kiesha Wakeham (Girls) and Darcy Dwyer in the boys division. They also had some outstand­ing performances in the other age group divisions 12-year-olds James Kusitino (boys) and Torika Tuvani­mudra in the girls division. Whilst Orlando Hill and Niko Muller in the U10 boys, Kiara Wakeham and Malia McKellar in the U10 girls di­vision. Portingale confirmed that they would also be sending a team to the International Surfing Association (ISA) World Open Surfing titles Japan that would be kicking off on September 15. In addition to that the FSA would also be sending a team to the up­coming ISA Junior Surfing titles that would be held in Huntington, California in the United States America on October 27.